JERUSALEM (JTA) — Israeli Prime Minister Benjamin Netanyahu is visiting Washington to speak about Iran and for no other reason, Israel’s ambassador to the United States, Ron Dermer, said in an interview. 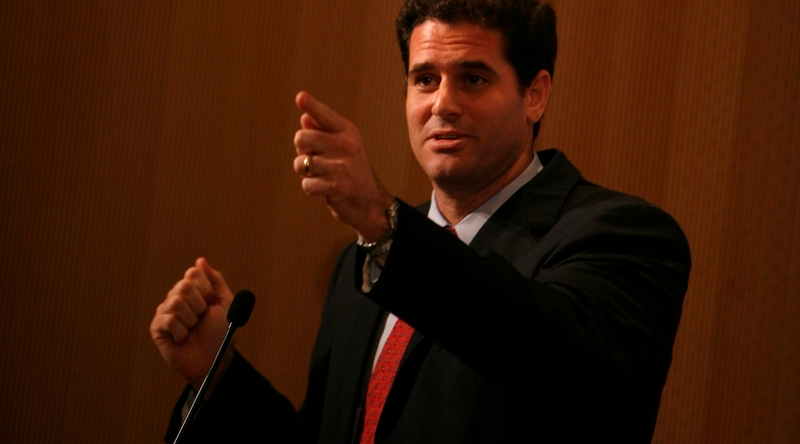 Dermer is believed to have orchestrated the invitation issued by House Speaker John Boehner (R-Ohio) to address Congress about U.S. Iran policy. The White House found out about the speech, which is scheduled for March 3, three hours before Boehner announced the address on Jan. 21. The address will come exactly two weeks before national elections in Israel. Dermer told Goldberg that the speaker’s office told him it was “the speaker’s responsibility and normal protocol for the Speaker’s office to notify the Administration of the invitation,” which is why he did not reach out to the White House or Secretary of State John Kerry about the invitation. The envoy said that “Israel is very concerned” that the deal currently being negotiated by the world powers, known as the P5+1, would not dismantle Iran’s nuclear weapons capability. Netanyahu and President Barack Obama have disagreed on issues, Dermer told Goldberg, “but the prime minister has never intentionally treated the president disrespectfully — and if that is what some people felt, it certainly was not the prime minister’s intention.” He added that Netanyahu has “a great deal of respect” for the president. Dermer said that Israel wants to resolve the issue of Iran’s nuclear program “peacefully,” and that it does not seek an armed confrontation with Iran.